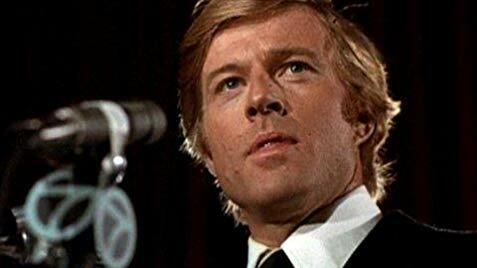 Vote magnet: In The Candidate Robert Redford played Bill McKay, a naive politician who learns fast about what it takes to win. Much has been made of Robert Redford’s claim that The Old Man & the Gun will be his final film as an actor. If that’s true, he’s gone out on a high – to his credit, Redford doesn’t have the underside of bad films on his CV that most people of his vintage do – but, thankfully and predictably, he has since qualified that statement, especially in terms of directing more movies. Now 82, Redford’s filmography is a formidable legacy of value-driven, character-based work. His most recent films as actor, such as All is Lost, and director, such as The Company You Keep, show how his instincts for strong stories with challenging themes and topical material are as sharp as ever, making the idea that he would retire even more implausible.